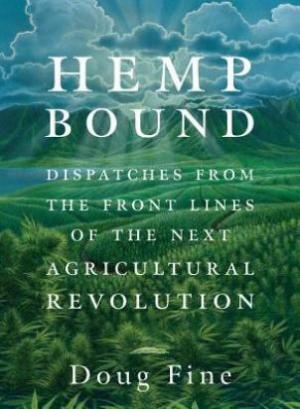 Journalist (and New Mexico goat farmer) Doug Fine has written the handbook to America's next hemp revolution. It's pretty inspiring, and a fun read, too. Check out our review of Hemp Bound. A bid to ease access to medical marijuana for vets failed in Congress, but not by much; California continues to grapple with local regulation issues, limited CBD medical marijuana bills continue to prove popular, a Washington state family can't use a medical marijuana defense for growing medical marijuana, and more. Asset forfeiture gone wild is in the news, so is a Delaware drug lab scandal, there's a major report on imprisonment from the National Academy of Sciences, Silk Road is back, and more. Uruguay prepares for the formal rollout of its marijuana commerce rules; meanwhile, across the Rio de la Plata estuary, Argentina sees the largest pot protest in history. Also, things are looking good for the Florida medical marijuana initiative, there's going to be a hemp planting in Kentucky, and more. The DC Cannabis Campaign, Yes on Initiative 71, Needs Signature Gatherers Immediately. Candidates are expected to collect at least 100 complete signatures per seven hours of work and maintain a valid signature rate of 30% or better. Candidates will need to wear neat street clothing, and work outdoors in all weather conditions collecting signatures. There is a lot of walking or standing required. It is a must candidates are outgoing enough to ask strangers if they are a DC Registered Voter and if they will sign the petition to legalize small amounts of marijuana. Non-DC residents will need to have a valid ID from out of state taken to the DCBOEE at 441 4th Street 2nd floor to become qualified signature collectors. The position is available to US citizens only. Long term opportunities are possible for top signature gatherers. Transportation inside Washington, DC is reimbursable. Note: Candidates must collect minimums and maintain valid rates. Candidates who fail to make minimums of ten hours or 150 signatures per week with a valid rate of 30% or higher will have their contracts terminated. In Chaparral, New Mexico, an Otero County jail guard was arrested last Wednesday on charges he was smuggling drugs into the jail. Luis Delgadillo, 37, went down after he was caught on surveillance cameras handing a package to a prisoner and another prisoner was overheard on a jail phone call saying Delgadillo had brought the dope in. The inmates tested positive for opiates, and Delgadillo was found in possession of meth, heroin, and Suboxone when the FBI subsequently searched his vehicle. 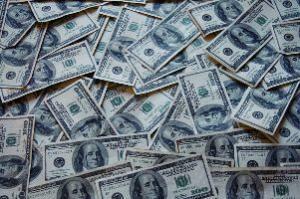 He is charged with federal drug trafficking conspiracy. He's looking at up to 40 years. In Mechanicsburg, Pennsylvania, a York County Prison guard was arrested last Wednesday for allegedly selling drugs, although no sales are alleged to have taken place at his workplace. Marino Magaro, 24, was arrested following an undercover drug investigation and is charged with delivery of a controlled substance, three counts of possession of a controlled substance and possession of drug paraphernalia. He's out on bail now. In Fort Lauderdale, Florida, a former West Palm Beach police officer pleaded guilty last Friday to selling drugs illegally while in uniform and carrying his service weapon. Dewitt McDonald pleaded guilty in federal court to illegally selling steroids and other prescription drugs. McDonald also admitted in March that he delivered drugs to another police officer while carrying his weapon and on duty. He faces a sentence of between five years and life in prison. A Fort Lauderdale federal judge is scheduled to sentence him on July 18. In Martinez, California, a former Concord police officer was sentenced last Friday to six months in jail for stealing prescription drugs from the elderly at a senior housing complex. Matthew Switzer, who had been a drug dog handler, copped to two counts of first-degree burglary, one count of second-degree burglary, one count of fraudulently obtaining prescription drugs and one count of elder abuse. He was actually sentenced to 2 ½ years in prison, but had two years suspended. In Los Angeles, a former TSA officer was sentenced Monday to nearly six years in federal prison Monday for taking bribes to allow drugs to be smuggled through her screening station at the Los Angeles International Airport. Joy White, 29, is one of seven screeners arrested in April 2012 in the scheme to smuggle drugs, including kilos of cocaine, through X-ray checkpoints and onto planes. Screeners made up to $2,400 each time they looked the other way as suitcases filled with drugs passed through their X-ray machines. White is the fourth of the seven sent to prison; three others await sentencing. Legal marijuana sales and cultivation is about to get underway in Uruguay. By the way, that's Argentina just across the estuary. DEA Orders Massive Increase in Marijuana Production for Research Purposes. They're going to be busy this year at the US government's pot farm in Mississippi. 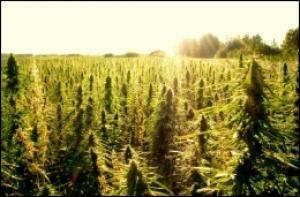 The DEA announced Monday that it has dramatically increased the amount of marijuana to be grown for research purposes. The DEA had originally set the quota at 21 kilograms of marijuana, but has now increased that amount 30-fold, to 650 kilograms. The DEA acted at the behest of the National Institutes on Drug Abuse (NIDA), which says the increase is needed "to provide for current and anticipated research involving marijuana." Minnesota Medical Marijuana Bill Heads for Senate Floor Vote. A proposal to legalize medical marijuana in Minnesota is headed for a vote by the full state Senate. Senate File 1641 passed out of the Senate Finance Committee Monday. It would authorize up to 55 dispensaries and provide access to marijuana for patients with specified medical conditions, including HIV/AIDS, cancer, glaucoma, epilepsy, PTSD, and several conditions that cause chronic pain. Patients would not be allowed to smoke marijuana, but could vape it. A more restrictive bill is moving in the House. Iowa Governor Unsure About Signing CBD Medical Marijuana Bill. Gov. Terry Branstad (R) said Monday he's unsure if he'll sign a CBD medical marijuana bill that has passed the legislature. He said he hadn't read the Senate File 2360 yet and noted that he has 30 days to take action. "This is not something that's been approved by the [Food and Drug Administration,]" Branstad said in response to questions from reporters during his weekly news conference. 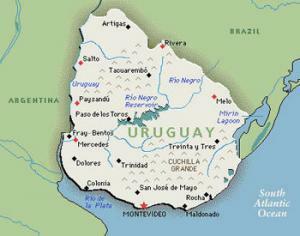 Uruguay Releases Regulations for Legal Marijuana Commerce. Today, Uruguay's new marijuana commerce regulations (link is in Spanish) go into effect. The government will now embark on the implementation of the legal marijuana market, which is expected to be up and running by the end of 2014. 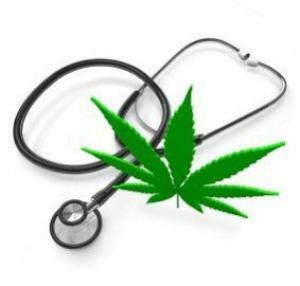 The regulations for medical marijuana are to be released later this summer. Under the new regs, Uruguayans 18 and older can grow their own (up to six plants), grow as part of a club or collective (up to 45 members and 99 plants), or buy up to 10 grams of marijuana a week at a licensed pharmacy. Marijuana consumers will have to register with the government for one of the three options. The registry data will be confidential and protected. 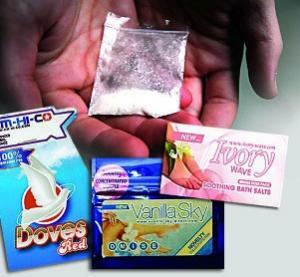 All forms of advertising and promotion of use are prohibited, as is smoking in closed, public spaces, in the workplace, and at health establishments, schools and sports institutions. Driving under the influence of marijuana is not allowed, and the newly created Institute for Regulation and Control of Cannabis (IRCCA), tasked with regulating and controlling the whole system, will set the THC limits and types of test performed for DUI. Consumption at or during work is also prohibited. 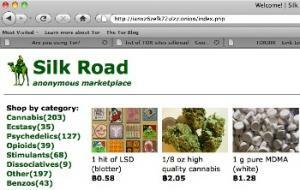 The price will vary, but will start at roughly $1 a gram. Argentine Cabinet Chief Blasts US Drug Policy. Argentine Cabinet Chief Jorge Capitanich has joined Security Secretary Sergio Berni in harshly criticizing US drug policies. The attacks come in the wake of a US State Department report saying there was a "dramatic" increase in drug consumption there. Over the weekend, Berni rejected the report as "arbitrary" and said the US "imports drugs and exports death." Those statements were "clear, eloquent, and convincing," Capitanich said Monday. "Some countries are intent to teach lessons on drug policy when they should be taking a closer look at what happens in their own countries," he added. London School of Economics Report Calls for New Approaches to Failed Drug War. A report from the London School of Economics released Monday night outlines the enormous negative outcomes and collateral damage from the war on drugs and calls for new, evidence-based approaches to drug use and the drug trade. 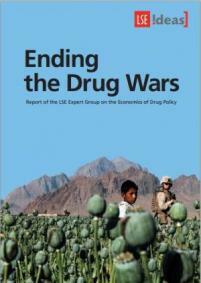 The report, Ending the Drug Wars: Report of the LSE Expert Group on the Economics of Drug Policy, has chapters authored by leading drug policy experts from around the world and has been signed onto by five Nobel Prize-winning economists, as well as political figures including British Deputy Prime Minister Nick Clegg, Guatemalan Foreign Minister Luis Fernando Carrera Castro, former Polish President Aleksander Kwasniewski, former US Secretary of State George Schultz, and former European Union High Representative for Common Foreign and Security Policy Dr. Javier Solana, among other luminaries. There's lots of good reading in it; click the link to access it. European Drug Monitoring Agency to Release Annual Report Later This Month. The European Monitoring Center on Drugs and Drug Abuse (EMCDDA) will present its annual overview of the European drug situation on May 27. Click on the link for more details.